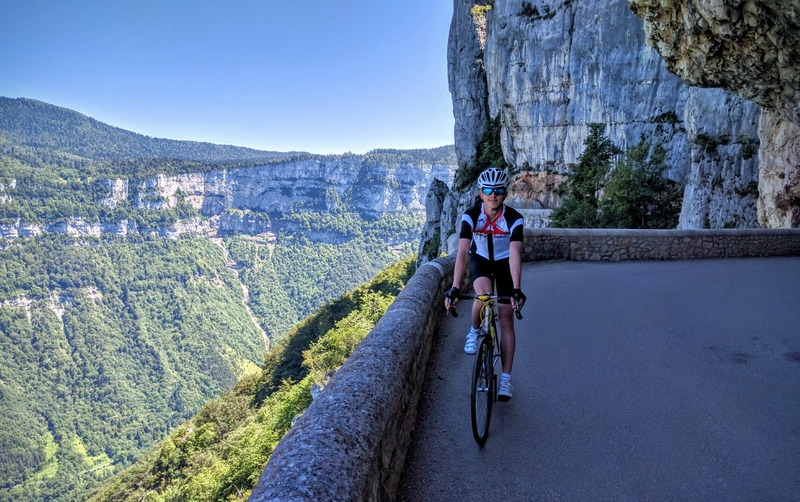 Velo Vercors is located in Saint Jean-en-Royans, situated at the western edge of the Vercors Natural Regional Park offering cyclists an unrivaled diversity of terrain on quiet roads with spectacular scenery. The Vercors park has five distinct areas. Royans or the Low Vercors – the area around St. Jean from the Isère river to the steep walls of the Vercors to the east. This offers, flattish and undulating riding on small lanes and quiet main roads. Vercors Dromoise or the Medium Vercors – the main plateau above St. Jean. There are three main gorges leading up to the plateau. To the north, the Gorges de la Bourne going all the way to Villard-de-Lans. In the middle, the Goulets rising up to a tunnel to access the plateau below La Chapelle. And, to the south, the famous Combe Laval, which has no exit due to its shear back wall, but there is access either side via two roads. The Medium Vercors is an area of superb riding, with breathtaking gorges, precipitous cliffs and rolling alpine meadows. Ranging from 6-20kms the cols are friendly, with gradients ranging between 5-7% with the odd 10% thrown in for good measure. 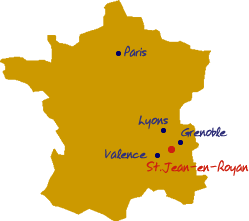 Most of the Velo Vercors riding takes place in this area. It is the most accessible to St. Jean, has the most spectacular riding and in high summer offers the cooler temperatures.The classic rides tend to climb the Gorges de la Bourne or Goulets, do a variety of circuits on the plateau and then descend the Combe Laval to return to St. Jean. Both the Goulets and Bourne also make great descents, but the Combe Laval is special. Riding on the right-hand-side of the road offers the most exhilarating feeling, high above the valley floor. The route traverses the high edge of the gorge before launching itself through a series of twists and turns deep into the forest to emerge right at the entrance to Velo Vercors. It also makes a great climb, but the Bourne and Goulets are easier gradients and allow for a longer warm-up in the morning. Diois or the Southern Vercors – the area to the south of St. Jean, beyond Léoncel to Beaufort and Die. 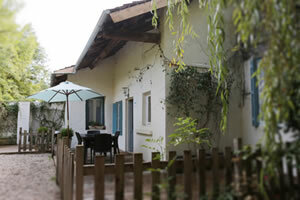 There is a marked change in climate – warmer and drier, with vegetation more like Provence. Coulmes or the Northern Vercors. An area to the north of the Gorges de la Bourne with heavily wooded rounded slopes and a steep western flank down to the Isère valley. The narrow gorges leading up to Coulmes are some of the steepest and most sustained climbs in the region. Hauts Plataeux and Quatre Montagnes or the High Vercors – the area to the far east and north of the Vercors is the highest rising to 2,341m (Le Grand Veymont). This area has excellent skiing, mountaineering and mountain biking, but very few roads suitable for riding.